The holidays are coming and your willpower to eat healthy is quickly going. With all the sweet holiday staples it can be hard to stay on track and get in those healthy meals between all the freshly-baked goods calling your name. While a little indulging in the good stuff is always acceptable, here is a complete menu using one of fall’s greatest gifts (pumpkin seeds!) to help you eat better without sacrificing the delicious taste! Pumpkin seeds are not only delicious, they’re also pretty nutritious! These high-fiber seeds contain loads of protein and antioxidants that give almost every part of your body a little boost. The heart, immune system, bones and even your hair can all benefit from pumpkin seeds. As if their amazing taste (raw or toasted) weren’t enough, this just adds to the reason why pumpkin seeds are one of fall’s best and healthiest little treasures to enjoy. Here’s a few options to enjoy this unique treat. The pumpkins are carved and those seeds cannot go to waste. Just a few basic ingredients make this breakfast bowl the perfect start to your busy day this fall. 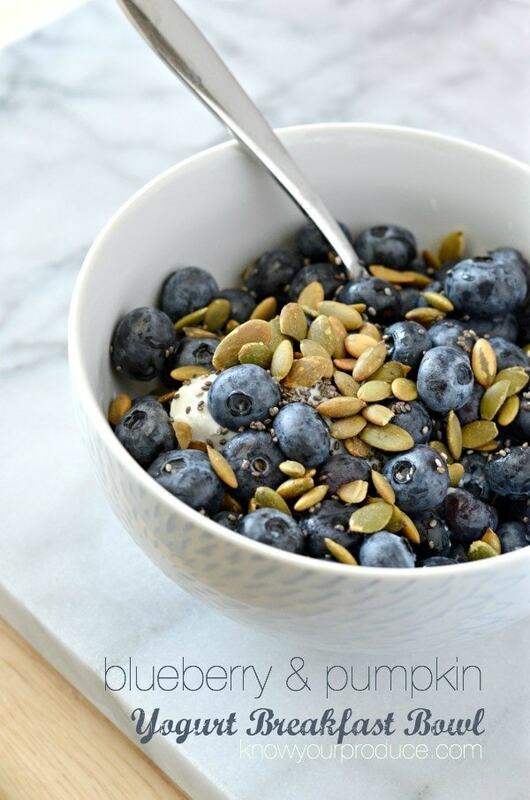 Power up with all the benefits of tangy Greek yogurt, sweet blueberries, and nutty pumpkin seeds! Ready to enjoy a salad for lunch? This quick little salad is anything but simple. Packed with flavors from kale, avocado, toasted pumpkin seeds, and a homemade dressing, this salad is sure to be your new favorite lunchtime craving! Are those mid-afternoon tummy rumblings hitting you hard today? No worries, because here is the perfect afternoon snack! 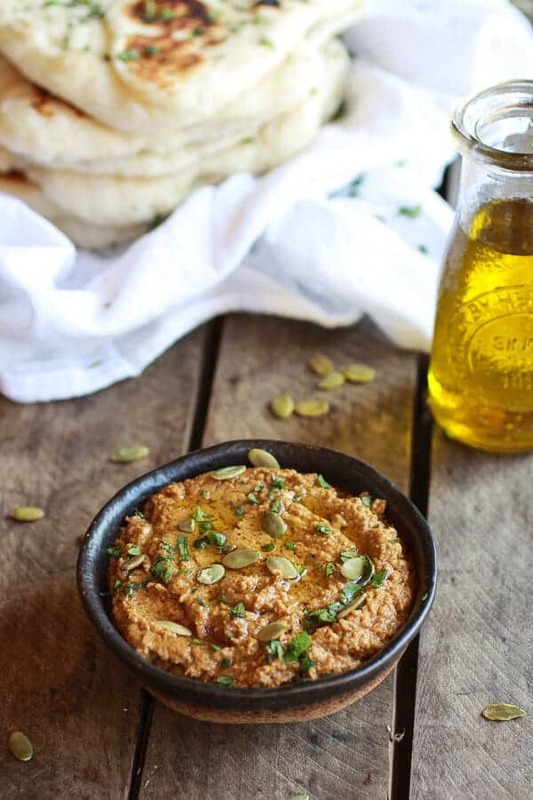 This hummus has all the flavors of fall: pumpkin seeds, chili powder, garlic, and beans combine to make a delicious dip! Grab some chips or pita bread and enjoy outside on a crisp autumn day. Just say “presto!” and you’re ready to go with this pesto! Pesto is easy to make and is easily customizable with your favorite flavors like cilantro or chili. Stir into a bowl of cooked pasta or create a pesto crusted baked chicken the whole family will love! Mix all the benefits of rich dark chocolate and protein-packed pumpkin seeds to create this mouth-watering dessert. Enjoy a piece, or three, after dinner to satisfy your sweet tooth guilt-free! STILL need more pumpkin in your life? It’s okay, we all go a little overboard on pumpkin in the fall. Overindulge on this classic fall flavor by pairing any of these snacks with a cup of Community® Pumpkin Praline coffee. This flavor brings out all the rich smells and tastes of fall with hints of nuts from the pumpkin and a little sweetness from the pralines. Enjoy our coffee, it’s good enough to eat!